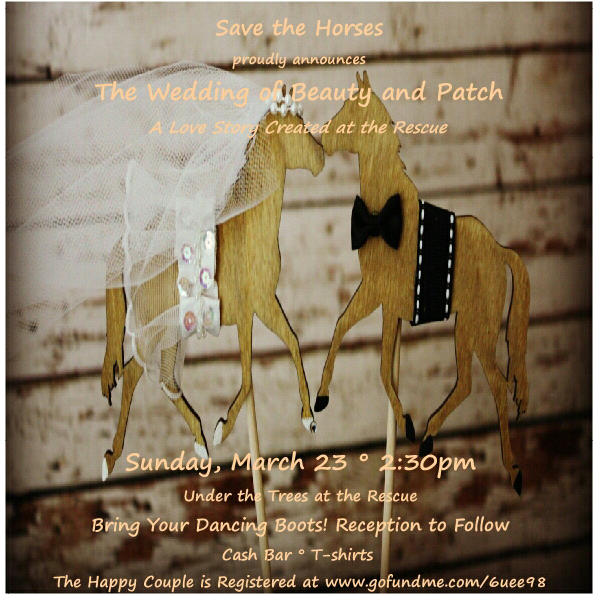 You are invited to the first ever horse wedding at Save The Horses Rescue. Come join the celebration, there will be a wedding ceremony with a reception to follow. Food, drinks and pony rides require a fee but the wedding is free to attend. The happy couple have a Register at GoFundMe.